Take back your space, your time and your mind to live your authentic life. You have too many commitments in your life and too much stuff in your home. It's no wonder you feel overwhelmed and stressed out. You don't need to just throw out a few bits and bobs; you need to declutter your life! Our homes and workspace are a mirror of what's happening inside us, Declutter Your Life explains how you can change your relationship with the things you own. Instead of being weighed down with objects and possessions that keeps you stuck in the past, you can learn to think about your things in a new light; in a way that's constructive and helpful to you. There are plenty of ideas, advice, tips and techniques to help you. You'll discover how outer order leads to inner calm. 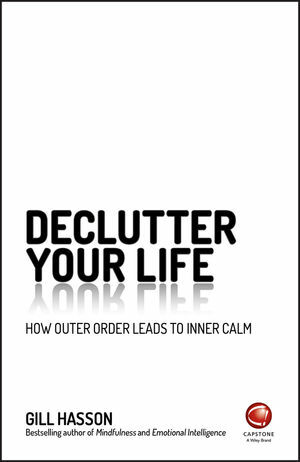 Declutter Your Life explains how the principles and steps taken to clear and simplify your living space can improve not just your home but also other aspects of your life; your work, relationships and general wellbeing. Simple living doesn't end at home. Declutter Your Life shows you how to reclaim your space, your time and your mind to achieve the life you want to live. Gill Hasson is a careers coach with over 20 years experience in the areas of personal & career development. She is also a freelance tutor/ teacher in mental health issues for mental health organisations and delivers training for adult education organizations, voluntary and business organizations and the public sector. She is the bestselling author of many Capstone titles, including Mindfulness and Emotional Intelligence.